Wow! This Spanish house is out of this world. 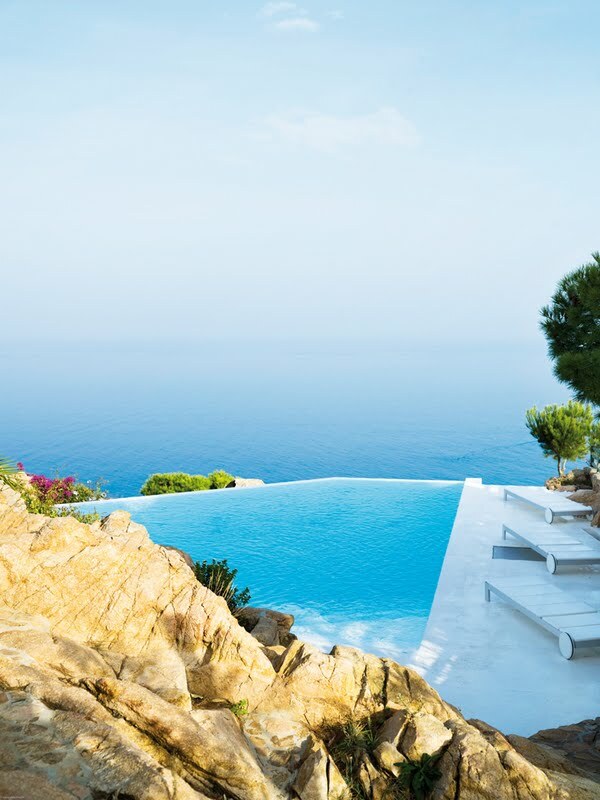 Situated eight miles from Barcelona, this home, Casa Nuria Amat, by Jordi Garces, is four hundred and fifty square feet of beautiful jaw-dropping space. The exterior of this home is phenomenal. The cliff it sits on is smartly integrated into the design. 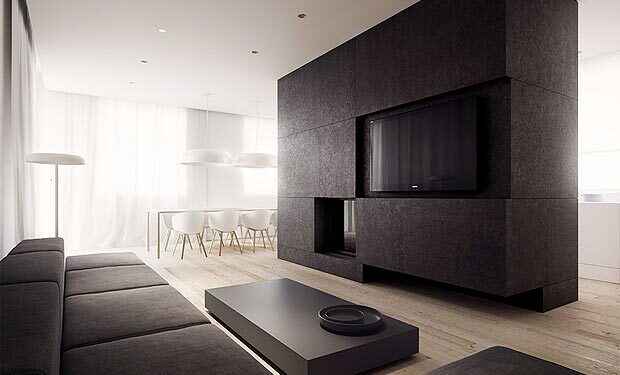 The rectangular shape is absolutely gorgeous with its floor to ceiling windows and cool exterior. The warm stone steps look positively amazing next to the cool colored home. It is fantastically picturesque. The outside areas utilize luxurious off white stone flooring. 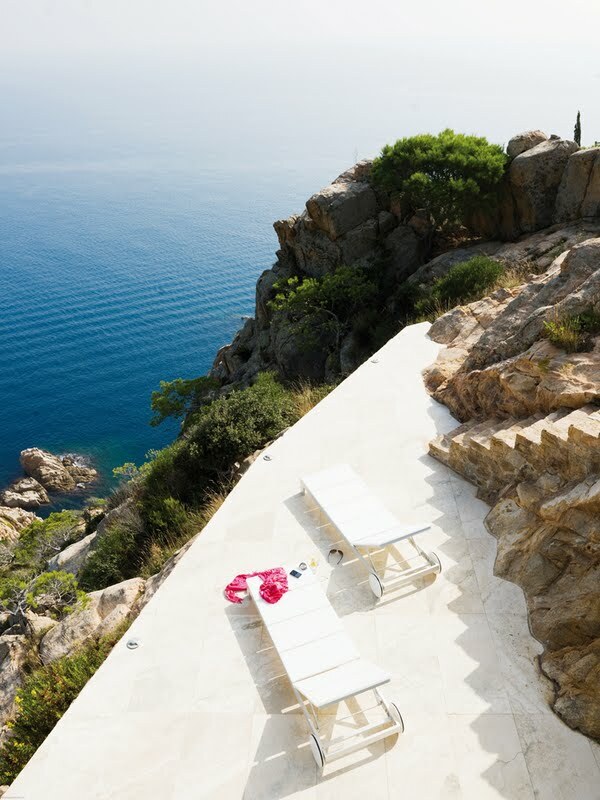 The fabulous white modern loungers, the beautiful greenery, the texture of the cliff, and the water (the pool and the sea) are simply stunning. Lastly, there is an outside dining area in this incredible house. 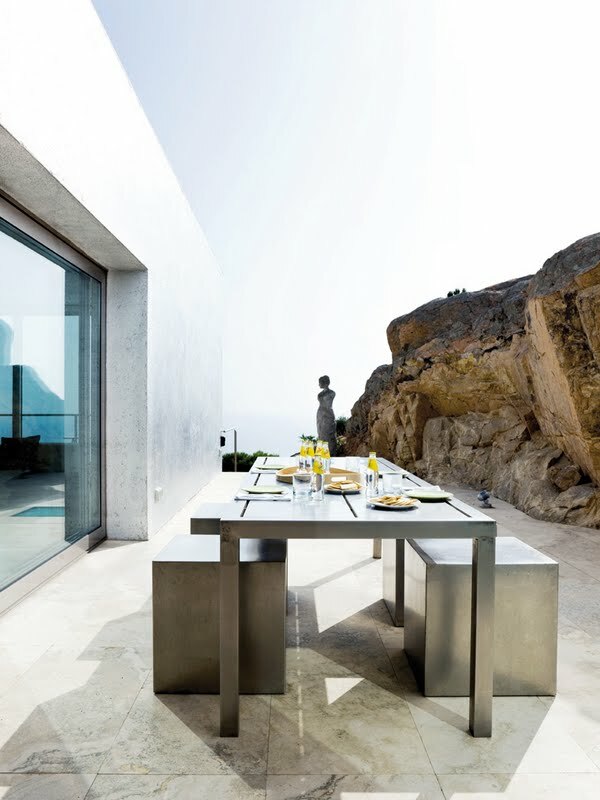 A metal table and four beautiful metal cubes sit on the outstanding stone. Towards the back, a gorgeous sculpture decorates the outside area, adding a lovely dose of elegance. The inside of this Spanish house is just as unbelievable as the outside. 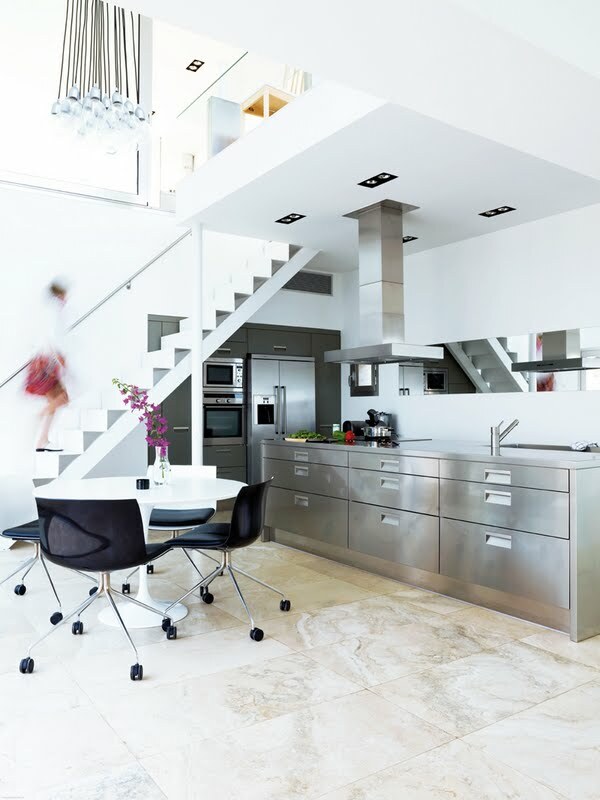 The open and airy space is full of delightful stone, thoughtful and cohesive design, and metal accents. 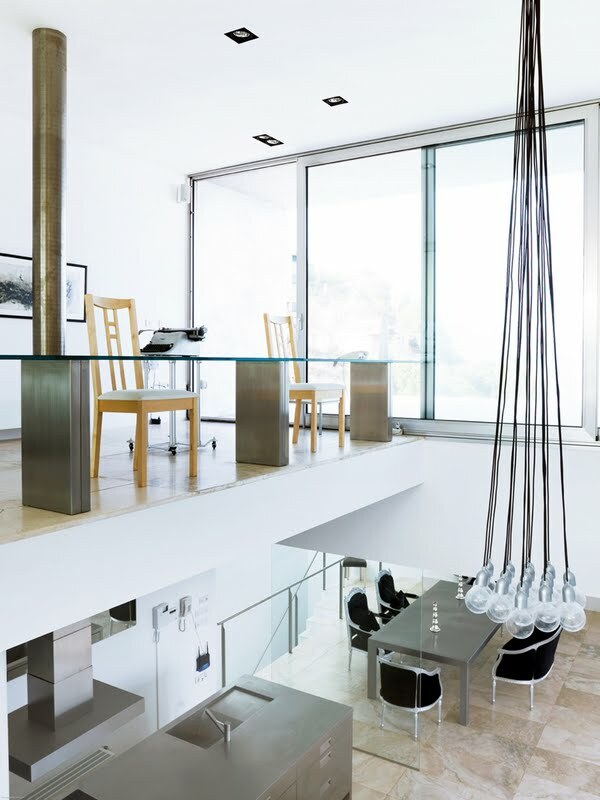 We absolutely adore the spectacular lighting hanging from the ceiling. It is simple but beautiful and creative, and it adds an astounding amount of interest to all of the home décor. The wondrous master bedroom and bathroom, brings the outdoors, into the inside of the home, beautifully. 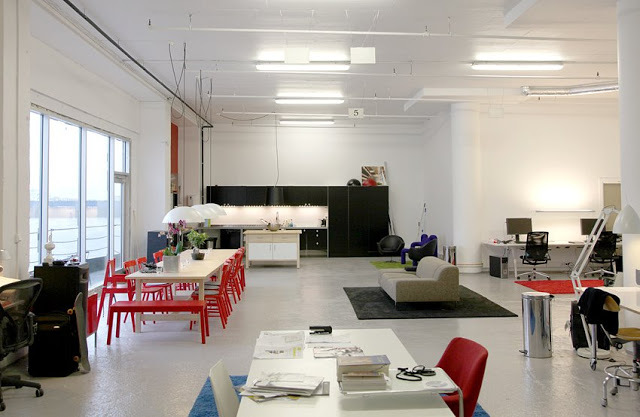 The continued open space is absolutely fantastic, maintaining the airy feel of the room. The cliff is integrated into the bath area, adding a lovely warm texture, and providing a wonderful contrast to the white in the space.